In promoting the Komodo National Park as The Real Wonder of the World, Marketeers in cooperation with the Ministry of Tourism & Creative Economy held a Komodo Apps Challenge contest. 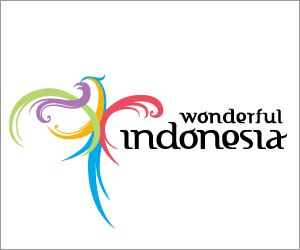 Opened since July 2011, the contest was followed by approximately 100 talented mobile application developers from Indonesia who registered their Komodo Apps for the Android, iOS, and Blackberry platform. The enthusiasm and spirit of the application developer netizen to follow Komodo Apps Challenge is part of their real participation in the promotion of Indonesian tourism, particularly the Komodo National Park, creatively through a mobile platform. The applications that have been submitted to the committee have been exhibited in the events of Komodo Night in Chicago and in Sydney and attracted the guests’ attention. To participate in this activity, the application developers must submit a Komodo-themed application that shows the harmless side of Komodo in accordance with the preservation mission of Komodo. The judges applied two main factors to assess the apps; they are the idea implementation and marketability. The idea implementation includes the user experience, design, content, and context as a whole. While the marketability factor is the opportunity and potential of the applications to be marketed in the real application market (Apple Apps Store, Blackberry Apps World, and Android Market). The applications that took part in the Komodo Apps Challenge were assessed by the judges consisting of Sapta Winandar (Deputy Minister of Tourism & Creative Economy), Hermawan Kartajaya (Founder & CEO, MarkPlus, Inc.), Andrew Darwis (Founder, Kaskus), Enda Nasution (Saling Silang) and Sanny Gaddafi (Founder Institute). The contest was opened for three categories: Blackberry, Android, and iOS. The participants of the Komodo Apps Challenge get a chance to win money amounting to Rp.40 million (1st winner), Rp.15 million (2nd winner), and Rp.5 million (3rd winner). 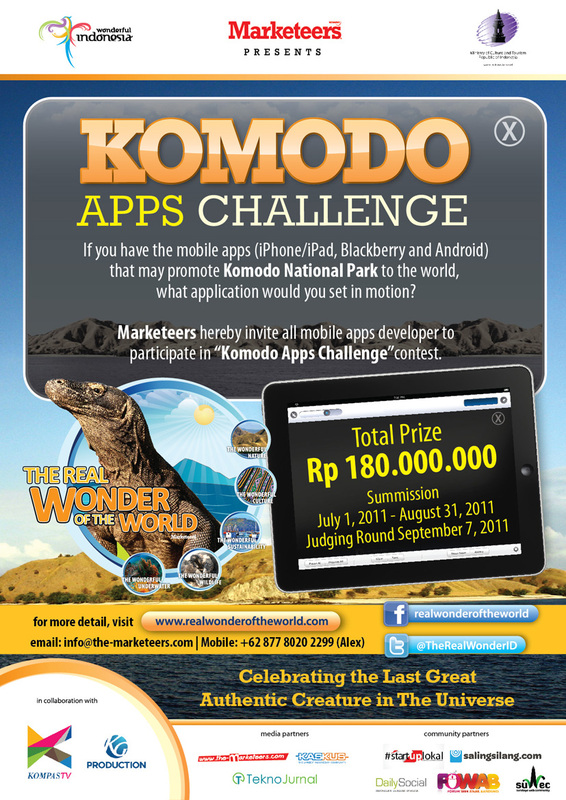 Media expose and symbolic awards to the winners of the Komodo Apps Challenge will be on Marketeers Dinner Seminar in October 2011, scheduled to be held at the Four Seasons Hotel Jakarta, on October 31, 2011, at 18.00 – 21.00 PM. The Komodo Apps Challenge was held in cooperation with the Ministry of Tourism and Creative Economy, and supported by KompasTV as the media partner of Komodo: The Real Wonder of the World program and also the community of Kaskus Netizen, StartupLokal, TeknoJournal, Saling Silang, DailySocial, Suwec, and Fowab. Marketeers Magazine! Nobody knows marketing better than we do!